So it's getting near to christmas and thankfully I started making cards a while ago for my stall. I have 110 cards to take so far but only about 30 are Christmas so later today I will be making more to add to the pile! This is the Poinsettia die which after I had completed realised the larger petals were done the wrong way, I had stuck the points in the middle! I think it still looks great though so left it as it was. The leaves are all part of the same die set. 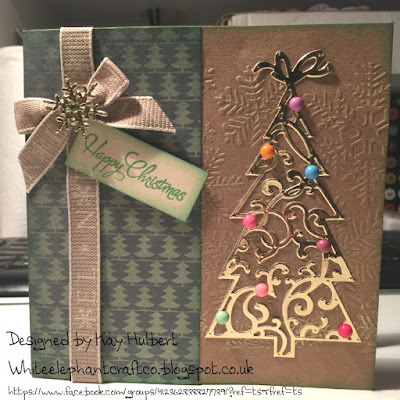 The Merry Christmas is also from Crafters Companion as it the backing paper. All edged with a Pine Needles Distress ink. 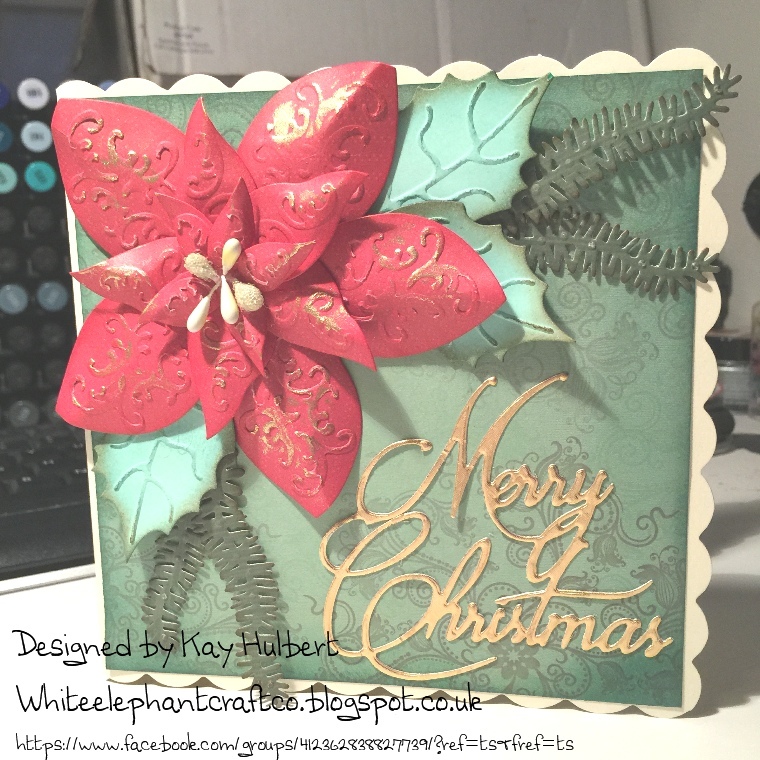 Christmas die with different papers with some silver ribbon from my stash and topped with the Crafters Companion Snowflake dies. I do not usually do brown as it was my old school uniform colour but it went so well with the gold! 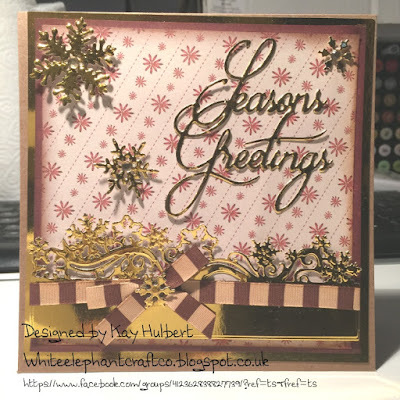 Loved the gold and brown together and the border snowflake die is lovely. For this one I used Joy christmas paper with trees with a tree die from marie anne I think (I have borrowed it from my mum!) and used the Crafters Companion snowflakes and stamp. The ribbon is also from my stash from a little habidashary in Epsom. Tomorrow I will share more of the Crafters Companion cards I have made so far! I craft in any spare time I get! I have sold cards to a local shop and regularly get commissions to make cards and framed scrapbook pictures for gifts. It's great to share idea's and obtain inspiration from other's. 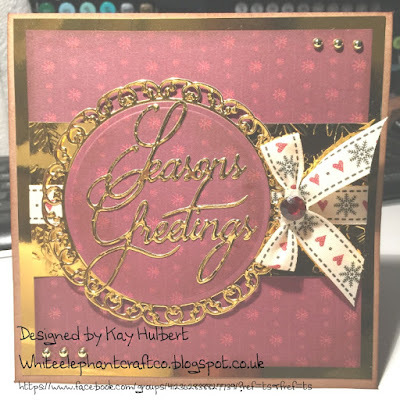 My first Design Team spot is as a guest designer in May 2013 for http://christmascardchallenges.blogspot.co.uk/. Exciting stuff! Love the crafting world!